Hi guys/girls. 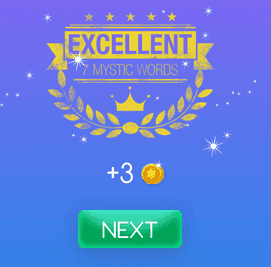 Welcome to Mystic Words Magenta level 17 answers. Remember to look only the answers to the clues you are blocked. There is no fun if you see all the answers before trying to solve them first. Furniture with shelves and drawers 6 letters answer, click here! Thinking about something else 11 letters answer, click here! People who is overly self-involved 11 letters answer, click here! James, from avatar or titanic 7 letters answer, click here! Perpetuation 11 letters answer, click here! Know something again 9 letters answer, click here! Generally approved 8 letters answer, click here!